Search Results for "clouds gathering"
Ominous Clouds gathers over an overcast urban cityscape A wide high shot showing the city of Birmingham spread out with urban industrial factories in the foreground and ominous grey clouds gathering. Time lapse of Bled lake before a storm with dark clouds gathering in the sky. Lake's island with the church is visible, with cliff castle on the left side and alps in the background. Drive Plate-Driving curving 2-lane mountain road in the Colorado Rocky Mountains passing rocky hill side and pine forest with dark clouds gathering in a blue sky. Timelapse of clouds gathering over a French flag and a lonely palm tree. 12 December 2016. 4k time-lapse of stormy clouds gathering in the sky. SINGAPORE - FEBRUARY 15, 2016: Timelapse view of clouds gathering above the skyline of the city on January 18, 2016 in Singapore, Singapore. Patterns of clouds gathering in the sky. 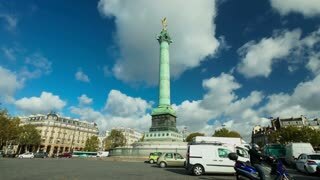 PARIS - OCTOBER 2012: Timelapse of traffic and clouds at Bastille monument on October 12, 2012 in Paris, France. Historically, the Bastille is the central gathering point for political demonstrations. Whisps of cloud drift slowly in front of a dark tree lined mountain ridge in an alpine valley. thick cloud is gathering the other side of the ridge. Time lapse of sky with white clouds forming / gathering. Short time lapse with the Gibraltar Rock when the sun was setting and black clouds were gathering on top. Time Lapse low rapidly gathering clouds. Time lapse of a mountain with a cableway, with dark stormy clouds forming and gathering behind it. Sun is trying to get through and occasionally shows sun rays. Gathering Gloom. Clouds converging into a developing thunderstorm updraft with rain already starting to fall from cloud base in the background. Gathering Gloom. Clouds lower and swirl as a convective storm system approaches. time lapse clouds on a sunny day, storm gathering.